Pyongyang said it has successfully tested the Pukguksong-2 intermediate range ballistic missile, after it was detected landing off Japan’s east coast, causing no damage. 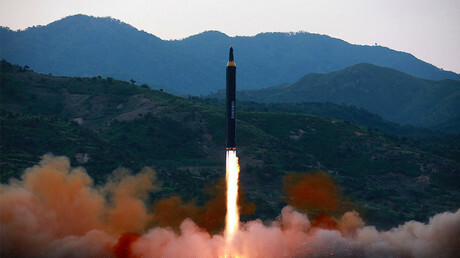 The nuclear-capable missile was launched just one week after the previous test by North Korea. North Korean leader Kim Jong-un personally supervised the test of the new missile, which the KCNA state news agency said verified the reliability of the late-stage guidance system of the nuclear warhead and tested its solid-fuel engine, Reuters reported. Earlier, the US and Japan confirmed that North Korea fired a missile just one week after it launched its Hwasong-12 rocket. “The US mainland and the Pacific operational theater are within the strike range of the DPRK and the DPRK has all kinds of powerful means for annihilating retaliatory strike,” North Korea’s state agency KCNA said in its announcement of the test, as cited by Reuters. The ballistic missile reached an altitude of about 560km (348 miles), according to a South Korean military official. An earlier Reuters report suggested that the missile flew about 500km and landed outside Japan’s exclusive economic zone. 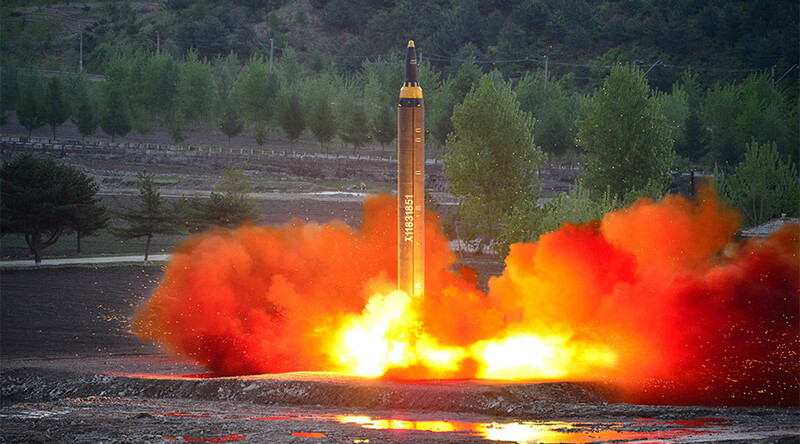 South Korean military officials said it was a solid-fuel rocket, in contrast to last week’s liquid-fuel test rocket. Solid-fuel rockets, such as those used in previous submarine-launched tests, are considered more complex to design and operate, but are more stable, and offer greater long-term military capability. The White House said that the rocket had a shorter range than those fired during the three recent tests. “We are aware that North Korea launched a [medium-range ballistic missile]. This system, last tested in February, has a shorter range than the missiles launched in North Korea’s three most recent tests,” a White House official said, as cited by Reuters. “The ongoing testing is disappointing, disturbing and we ask that they cease that,” US Secretary of State Rex Tillerson said in an interview with Fox News. Tokyo has already condemned the launch, describing it as an “intolerable” move, clearly violating UN Security Council resolutions. Japan will not tolerate North Korea’s “repeated acts of provocation,” Chief Cabinet Secretary Yoshihide Suga told a news conference later on Sunday. Japanese Prime Minister Shinzo Abe said on Sunday that he wants to address the North Korean missile launches at the G7 summit in Italy later this month. “I would like to have a thorough discussion about this at the G7 summit,” Abe told reporters after a meeting of the National Security Council, according to Reuters. Abe added that it is crucial to cooperate with Russia and China in dealing with the issue of North Korea’s missile tests. South Korea and Japan, Pyongyang’s immediate neighbors, have set up urgent meetings of their respective security councils, according to media in both states. South Korea’s Office of Joint Chiefs of Staff said the country’s military and the US were conducting a thorough analysis of the launch, according to Reuters. We strongly condemn missile test in #NorthKorea! The international community mustn't and won't get used to tests like these. The test comes a week after North Korea tested what it said was a new type of ballistic missile capable of delivering a full-size nuclear warhead. 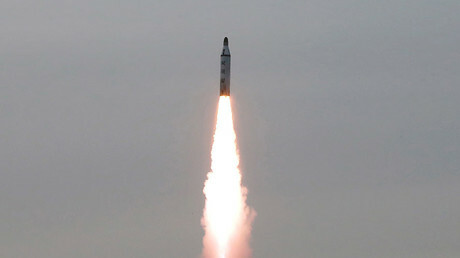 Last week’s test involved what Pyongyang said was a long-range ballistic missile. The rocket reportedly covered a distance of 700km, with an altitude reported by some media outlets to be up to 2,000km, before falling into the Sea of Japan, according to South Korean and Japanese military estimates. Analyst Andrew Leung believes that the latest test should not lead to a further escalation of hostilities, but must result in a fundamental attitude change towards Pyongyang.